Imagine my delight to see a Monarch caterpillar at the Saratoga Springs Healthy Living Market’s certified Monarch Waystation during a visit this week! When I initially wrote about the Monarch waystation project, I mentioned I didn’t expect to even see butterflies this year; I definitely didn’t think we’d see Monarch breeding success in the waystation this quickly! photo credit George Romano of Healthy Living. 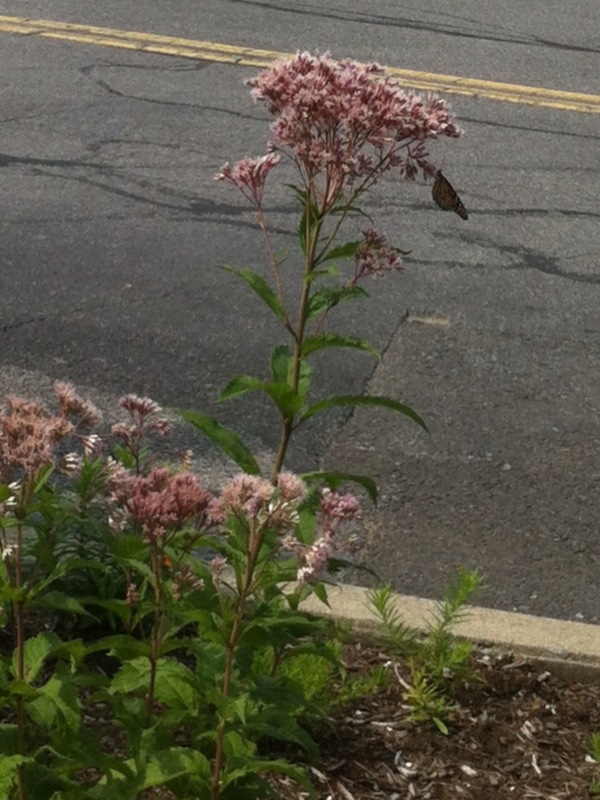 The first Monarch butterfly was spotted by a Healthy Living employee several weeks ago. 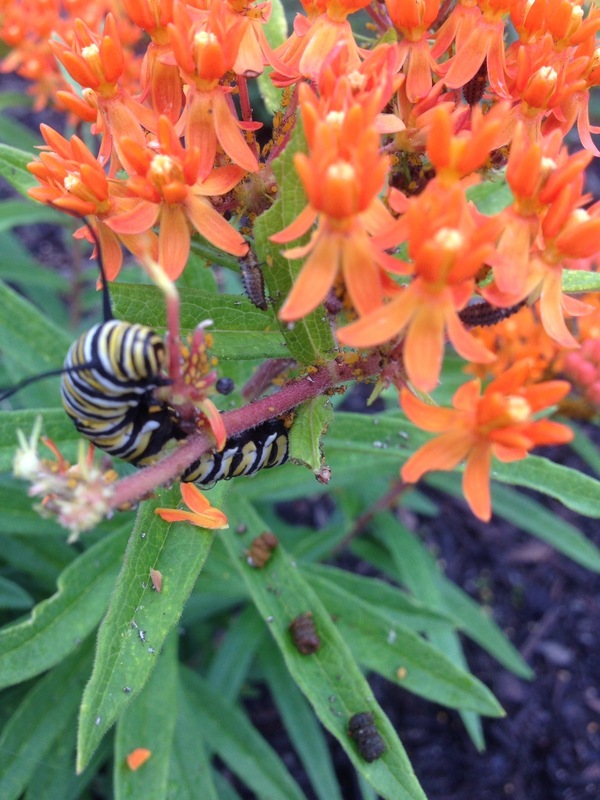 We had no idea that she was a female, and that she was busy laying eggs on the Milkweed. This commercial space, acres of mall parking lots sandwiched between wetlands and forests, is obviously perfectly situated for habitat restoration, and I’m really excited to see how many Monarch butterflies learn to visit and breed at the Saratoga Healthy Living Waystation in years to come, as the native plant gardens become ever more established in the landscaping. 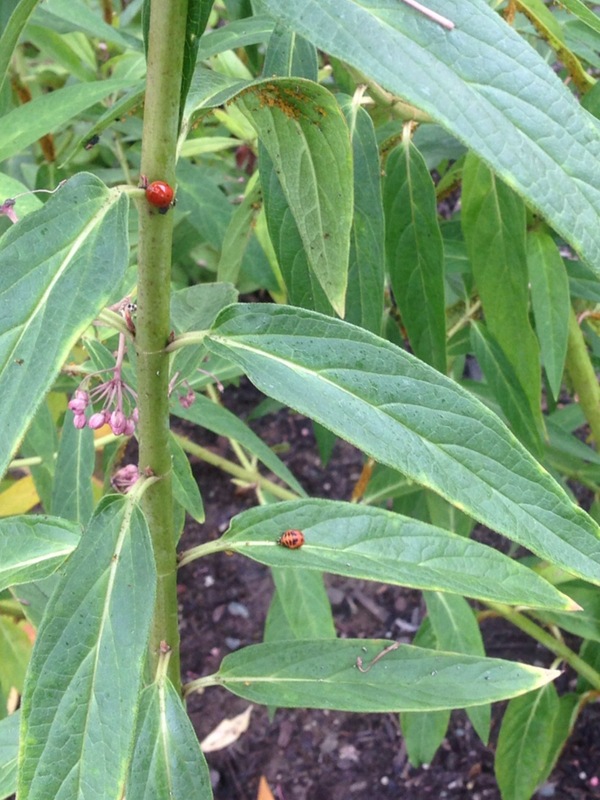 The Monarch waystation is hosting other wonderful insects, including the ladybugs shown in this photo, adding tremendously to the biodiversity of our mall’s landscaping and parking lot.